A blue suit is a necessity for all men. 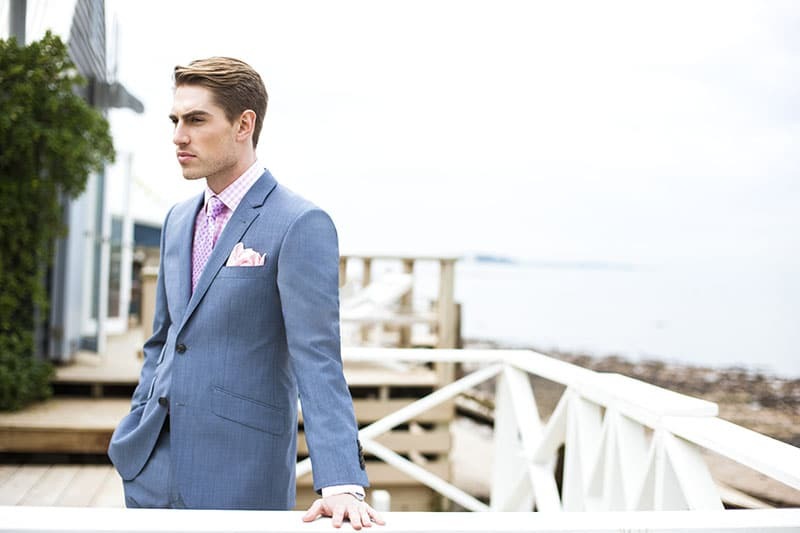 Ideal for work, the weekend and beyond, blue suits are both versatile and stylish. Of course, how your blue suit is perceived depends mainly on its shade. While light and bright blues create a bold statement, more subdued tones and navy hues achieve a refined aesthetic. 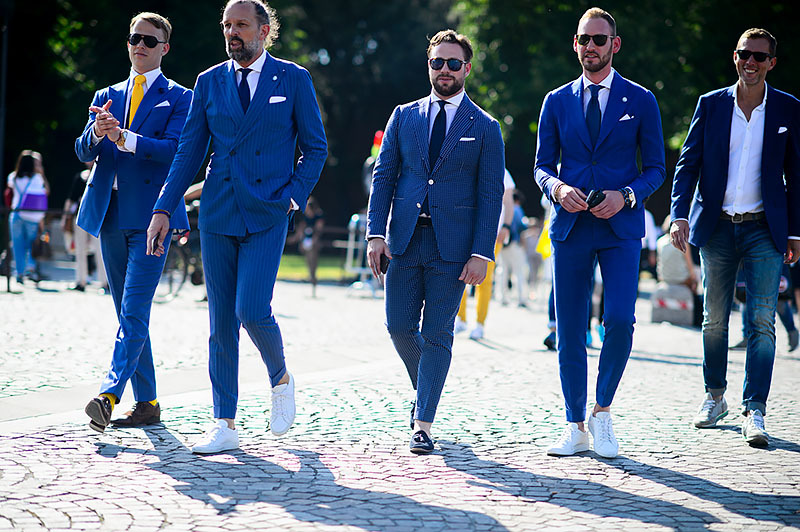 But, don’t worry if you’re unsure about what blue suit to wear when and where because we’re here to provide some expert advice on the topic. 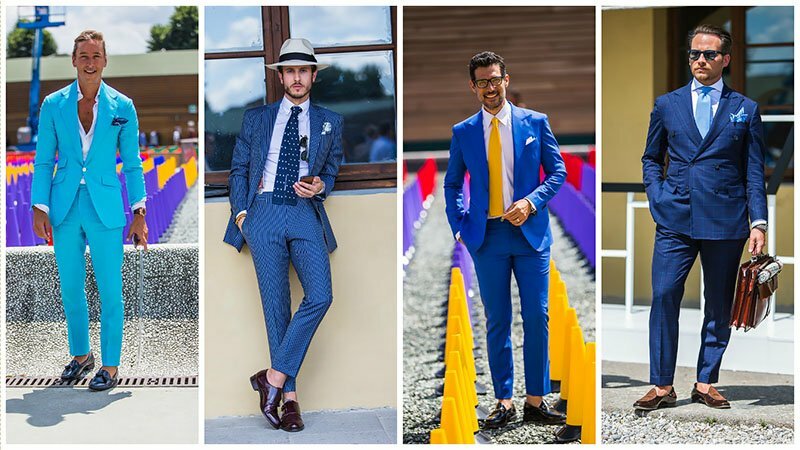 Below is our guide on how to wear blue suits for every occasion. For less formal, more adaptable casual looks, opt for blue blazers and suiting in pastel tones or ground your looks with honourable navy. If a relaxed aesthetic is what you are hoping to achieve, team your suit with cashmere sweaters and simple scoop neck shirts. Accompanying whites will suit all blue shades but also experiment with brighter accessories to add dimension to more relaxed looks. Maintain an understated look with sneakers, particularly in classic colours to contrast with your blue tailoring in a subtle, but effective way. Blue suiting should be a welcomed change from the standard monotony of black, so commit to blue tailoring by teaming your suits with classic white work shirts and brighter ties. While navy will work remarkably, don’t be discouraged to also experiment with brighter blue suits, which have proven to produce formidable workplace looks. 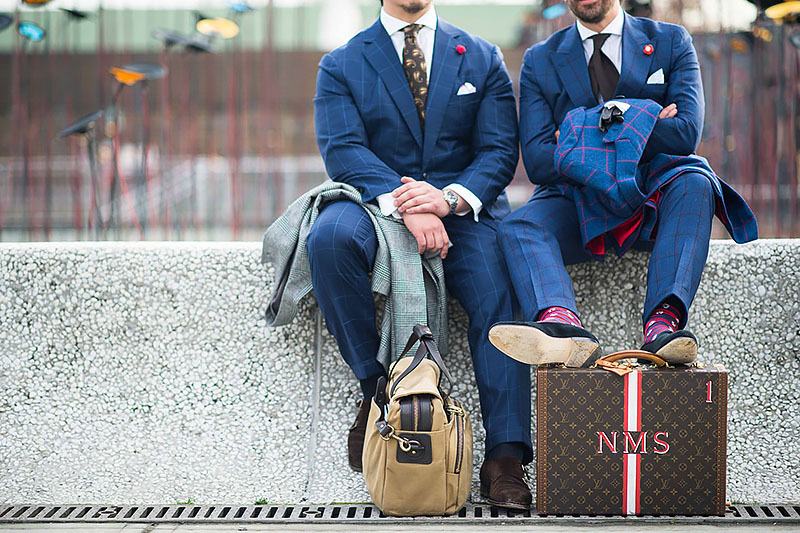 Team with deep, dusky brown shoes for a classic take on blue suiting and incorporate subtle bursts of colour with ties in complementary colours like emerald greens and vermillion reds. Do not be afraid to mix up patterns, styles and textures to express aspects of your personality in the office. Darker blue suits will work well for cocktail attire and can be enhanced with personal touches like vividly patterned pocket squares and sleek leather belts. For a modern take on blue suiting, go for more iridescent blues that will appear unique in the midst of cookie-cutter cocktail looks. 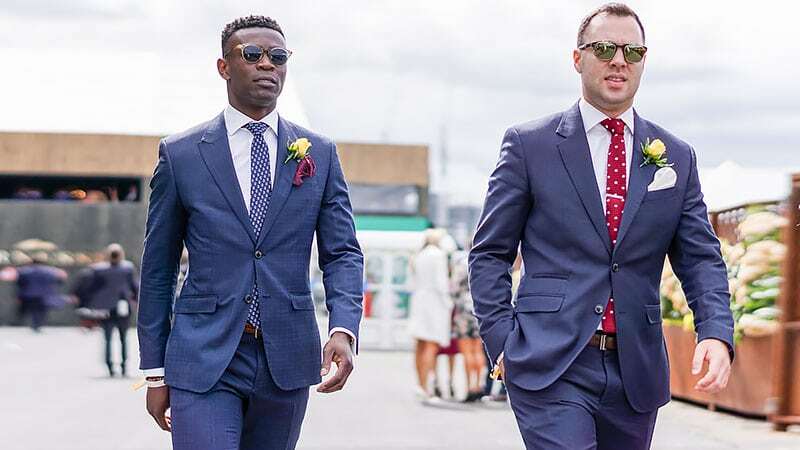 Ensure your suit is perfectly fitted, cut a sleek silhouette when trying out brighter suits and do not be scared to experiment with vivid shirt colours and patterns for varying aesthetics. Additionally, don’t be fearful to opt for a patterned blue suit which will evoke a dimensional centrality to looks, but ensure it is teamed with more subtle accessories and traditionalist dress shirts. 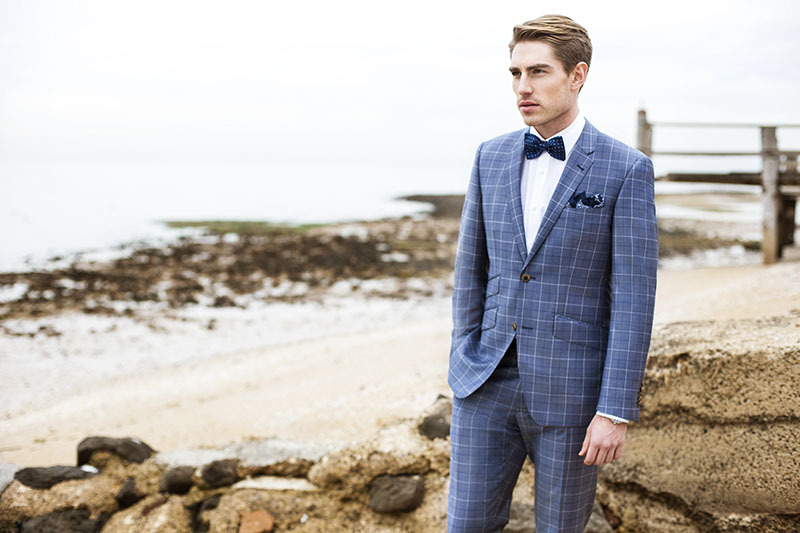 The patterned blue suits in steel blue plaids and navy checks will add depth to your aesthetic, offering timelessness with a twist. Be sure to also keep your shoes clean and polished while matching the colour tone to your belt and outfit. Dimensional blues traditionally work best for more formal occasions, so amplify this colour choice with classic white dress shirts and textured bow ties or slim ties in traditionalist shades. Opt for darker blue pocket squares for contrast and a personalised essence to looks. Be mindful that a blue suit can set you apart from the crowd, but styling and modernised fit are essential to perfect memorable blue formal looks. The double-breasted suit is always great and adds a point of difference to the common formal evening wear attire.